Drowned rat is usually a metaphor used on days of heavy showers. Today, it’s actualy a rat that drowned. Poor little chap, he must have swum around that pond until exhaustion pulled him under. 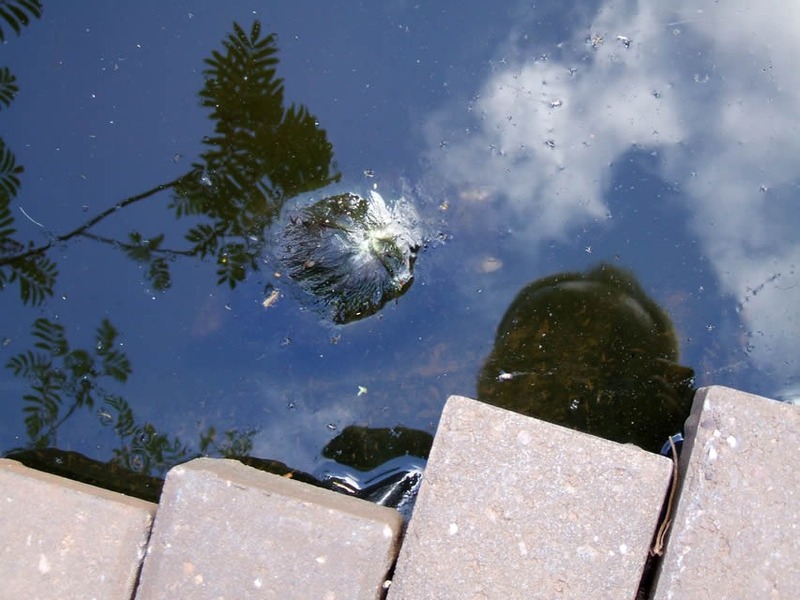 That suggests a design fault with my pond, the shallow end must have, somehow, prevented the little chap getting out. These animals aren’t stupid, unless he was doped up with rat poison, that seems unlikely to me. What a way to go. Follow that link though and some interesting stuff emerges. It turns out that rats use a creful strategy to protect themselves from poison. A strategy that makes them difficult to poison because thay take precautions such as eating only a little from the scavenged food, then return if they don’t become unwell. Presumably that must be a serious problem to a species that scavenges a large proportion of its food. Rat poison has to be tasteless & odourless so the animal will return and comsume more rather than treat the area as ‘no-go’. Gears: the racing bike has a brand new cassette on, and it’s made not the slightest difference to the indexing problem I may as well put the old one back on since it wasn’t actually worn out anyway. Next- the rear hanger: if I put an allen key in the hanger-bolt, it’s clear that it’s out of alignment. So, I’ve ordered a tool to bend the thing true. This entry was posted in Garden and tagged Rat. Bookmark the permalink.